Once again, I will be organizing and leading my annual skating charity event to support the Scott Hamilton CARES Foundation's Sk8 To Elimin8 Cancer fundraiser. I am challenging myself to skate a frozen 5K along with my Garden State Skating Club to raise money to help fight cancer. Your donation will go towards cancer research, prevention, and treatment, and will be in loving memory of my grandmother who lost her battle with gall bladder cancer three years ago. Please help support me in this worthy cause by contributing and helping me raise as much money as I can. I will again be donating my earnings from private lessons this season to the charity. Together, we can make a difference. Come join me to see Stars on Ice, a theatrical production showcasing elite skaters performing together in both individual and ensemble routines. Back in 2017, I was chosen as one of 40 skaters to perform in their group number during their tour at Giant Center in PA and it was such a great experience to meet the skaters and learn about their skating experiences. Stars on Ice was founded and produced by Scott Hamilton, Olympic Gold Medalist, and is the only figure skating tour in the US which has become a premier family entertainment event. We will get to see 2018 World Champion Nathan Chen and Olympic medalists Maia and Alex Shibutani, Ashley Wagner, Jason Brown, Mirai Nagasu, Jeremy Abbott, and Bradie Tennell along with Olympic Gold Medalists Meryl Davis and Charlie White, World Silver Medalists Madison Hubbell and Zach Donohue, and US Silver Medalist Vincent Zhou. Meet & Greet passes on sale too! Have you ever wondered how figure skaters and ice dancers are tested? What types of tests skaters have to take? How judges evaluate skating tests? What is involved in running a skating test session? Well, you’re in luck because my Garden State Skating Club is hosting another winter test session and you can come by to observe and learn. 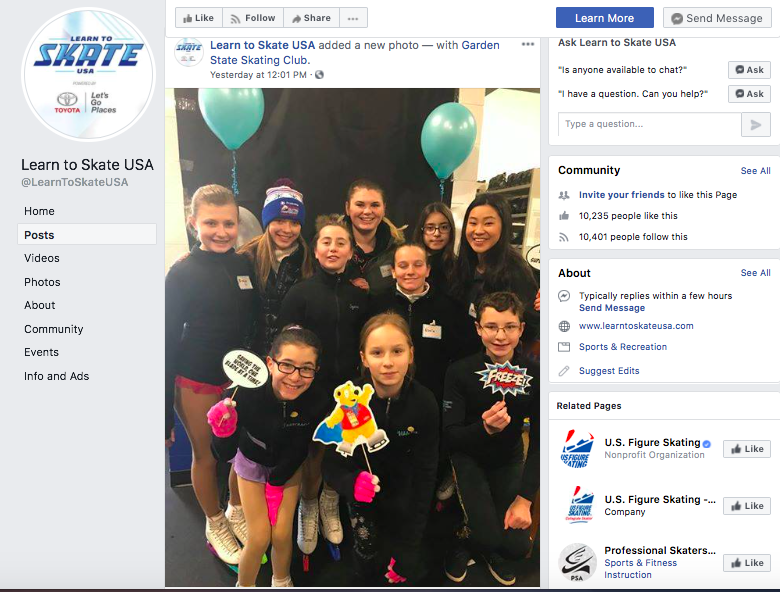 Skaters are evaluated by US Figure Skating’s standardized testing program in which skaters are required to test in order to advance to the next higher level (pls see my post dated May 6, 2018 for more detailed info). My club is scheduled to offer moves in the field, freestyle, and dance tests of all levels from beginners to gold and senior. You get to experience an official skating test session and see how skaters and their coaches prepare for tests on-and off- the ice on test day, what skaters wear for their tests, see where judges sit and how they assess the skaters, and observe the joys (and hopefully little to no disappointments) when skaters complete their tests. The most important thing to remember when observing a test session is that you must remain very quiet at all times such that the skaters and judges are not distracted. So if you are at all curious in learning what a skating test session is all about, then you should definitely come out and see the many difficult tests skaters have to take to advance. You will be sure to learn a lot. 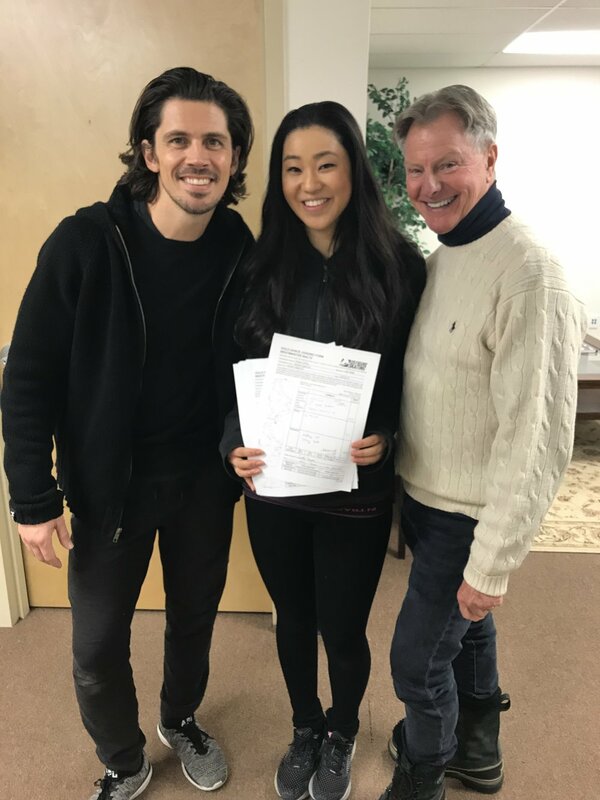 …to my long-time coach and mentor, Ken Foster, and two-time European bronze ice dance medalists and the 2004-2010 British national ice dance champion, John Kerr. Coach Kerr traveled all the way from Florida to step in as my dance test partner and with only two days of practice, he not only helped me pass my compulsory GOLD dances but helped me earn a ‘Pass with Distinction’, the highest level of test achievement bestowed upon by the judges. I’m now a US Figure Skating TRIPLE GOLD MEDALIST! A HUGE THANKS AND MY HEARTFELT GRATITUDE TO COACH KEN & JOHN! Looking for a fun-filled evening? 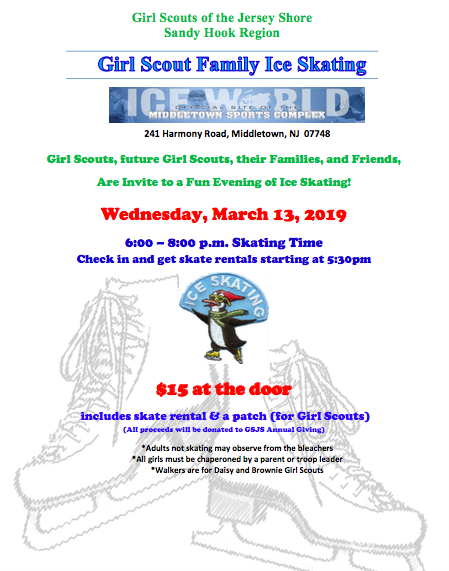 Take time out and come ice skate in a fun, safe and family atmosphere with your gill scout troop and friends. Admission includes two hours of ice skating and Girl Scouts will receive a fun patch. You can come at 5:30pm to sign in and get your ice skates. spring fun on the ice! 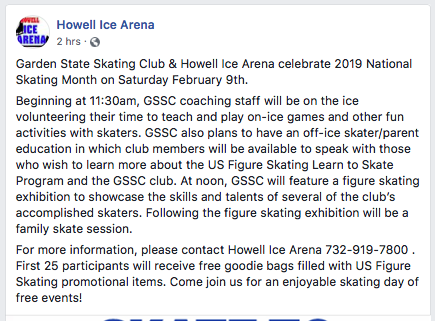 Please join us as we celebrate National Skating Month on Saturday, Feb 9th from 11:30-2pm. I will be organizing and leading this annual event again and plan to have free 1/2 hr group lessons followed by a figure skating exhibition and a family skate session to close out the event. 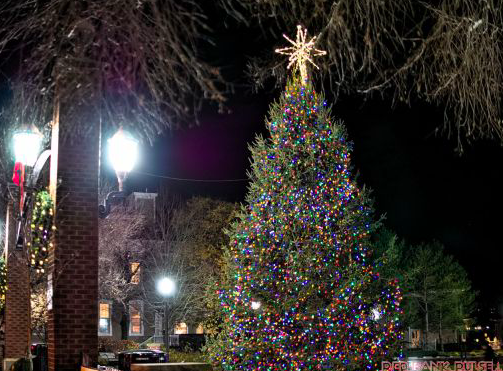 As I just posted a story on the best family skating rinks in the country (Nov 18 blog), I just learned that our nearby charming downtown district of Red Bank will be transformed into a Winter Wonderland for a day with an ice skating rink, a life-size Snow Globe, and lots of outdoor fun including a scavenger hunt and holiday bazaar. There will be a synthetic ice skating rink where you can skate across Broad Street between White and Monmouth Streets. Also, there will be a 15-foot snow globe in which you and your family and friends can step inside and get a picture taken from the outside. All this is free except skate rentals ($10 adults, $5 children). You can go on a festive adventure around town by completing a holiday word hunt puzzle which will feature a poem that can only be solved by searching for words from the retail shop windows. 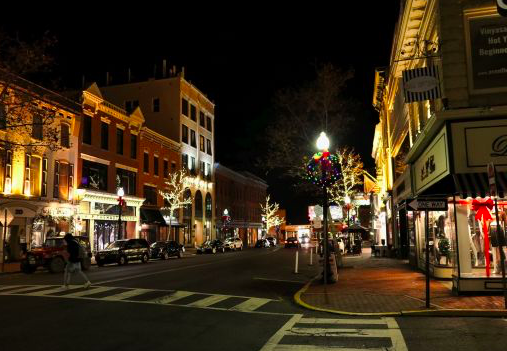 Of course, you can always holiday shop and get your seasonal gifts, crafts, ornaments, and more at the Holiday Bazaar on Wallace Street and also at the wonderful local businesses. Lastly, there will be plenty of delicious food available from the town’s 80+ eateries and restaurants. So get into the holiday spirit and come out and enjoy some fun-filled holiday traditions! 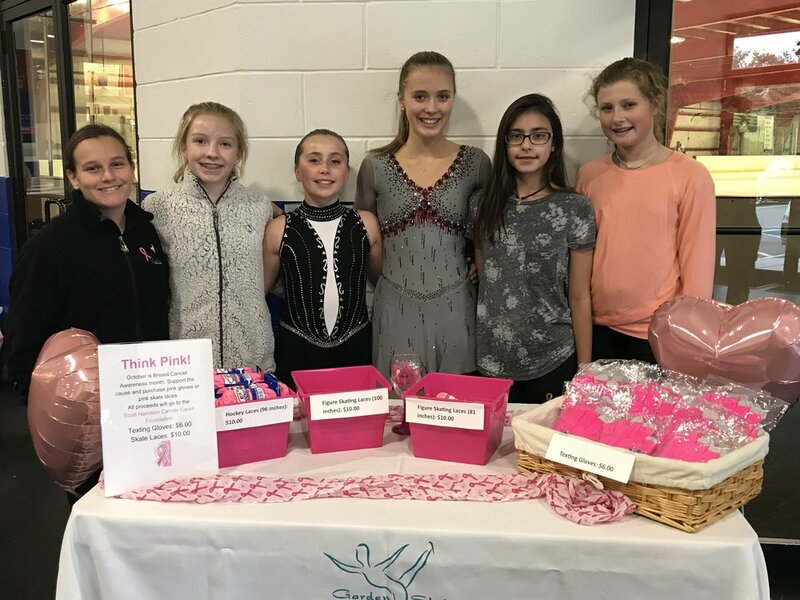 October is National Breast Cancer Awareness Month and the Garden State Skating Club will be selling pink gloves and laces at the Howell rink throughout the month to support the cause. All sales will benefit the Scott Hamilton CARES Foundation’s Sk8 To Elimin8 Cancer Program which funds cancer research, education, and support. One in eight women will be diagnosed with breast cancer in their lifetime. Please show your support and help us raise awareness by coming out to the rink and wearing your pink outfits, gloves, and laces for National Breast Cancer Awareness Month. Join us in helping women now! The Garden State Skating Club will host its annual Summer Exhibition on Wed, August, 15 at Howell Iceworld at 5pm. We are extremely excited to showcase the skills and talents of our accomplished skaters. Many will be performing their freestyle and dance programs of which they skated and competed throughout the season and some will be skating to their programs to prepare them compete in the North Atlantic Regionals and National Solo Dance Championships this Fall. Please join us and show your support! Please join my Garden State Skating Club as we come out to help and support the 2nd Annual Nicole Heart Foundation 5K Run/Walk. The event is to honor the memory of Nicole Trott who passed away from an undiagnosed congenital heart defect, just days after her 18th birthday and high school graduation in 2011. The Foundation's mission is to foster greater awareness and education of the importance of cardiac screening and prevent future sudden unexpected tragedies from this illness. Proceeds of the event will help fund cardiac screening for high school athletes. These pre-sport heart screenings are not cost effective because athletic sudden cardiac death is a rare event. Stay heart healthy & strong! I invite all my skating friends and learn-to-skate students to come over and enjoy a night of Olympics ice dancing. I think it will be the best skating event of this year's Games because we have three amazingly talented U.S. dance teams with such different distinct styles and any one of these teams can earn a medal. I am most excited to watch my all-time favorite Canadian dance team, Virtue and Moir. They truly are THE best ice dancers I've ever watched. I just love all their programs because they're absolutely captivating and spellbinding and most of all, their music interpretation and complicated skating skills always leave me mesmerized. It's President's weekend and there's no school Monday, so come on over and let's watch and enjoy some great ice dancing together! The U.S. Figure Skating Championships is always a huge event in figure skating; however, this year is especially significant as it determines the athletes representing the U.S. for the 2018 Olympic Games. I invite all my Learn to Skate students to join me on Friday, January 5th to celebrate this event with a Nationals Figure Skating Viewing Party. Together we can watch the Championship Ladies Freeskate and Short Dance events and spend time enjoying the sport of skating. I will be providing snacks and beverages and it will be a lot of fun! Hope to see you all there! On Saturday December 16th, Ranney School's figure skating club will attend a public skate day at the Red Bank Armory. The participants will enjoy a fun-filled session of learning to skate and spending time with friends. I hope to increase my peers' interest in the sport and teach them a few things in the process. Their time on the ice will be a memorable experience as well as one perfect in time for the holidays!